Google Pixel Buds—Google’s first wireless earphones and Apple AirPod’s biggest competitor so far. Talking about features and specs there’s nothing much that Pixel buds can’t do which AirPod’s can. In fact, Google Pixel Buds have a unique feature which offer real time language translation. With Google Pixel buds, you can translate any language using Google Translate app. All you need to do is simply tap on the right ear bud and talk with another person back and forth without any hindrance. They can read notifications from your phone or allow you to make other Google Assistant queries and much more. Google Pixel buds are available online and you can grab them at $159. But before you make up your mind to buy this attractive earpiece, here are a few impressive tips and tricks that’ll help you utilize the gadget optimally. One of the most exciting features about this awesome earpiece is touch control support within the device. By simply tapping on the right ear bud you can master various controls like a single tap would play or pause the music, a double tap would turn on notifications, long press would give commands to Google Assistant and more. Using Google Assistant on Pixel buds will surely be an overall amazing experience. Once you long press on the right earbud it’ll activate the voice assistant and then you can give any command you want, like ask about weather updates or send an email or text message. Pixel buds are capable of sending you notifications. Suppose, you receive a Facebook message, you’ll hear Google Assistant tell you there’s a new message, and the person or group it’s from. You can even respond to notifications via Google Assistant by tapping on the right earbud anytime. In case you don’t want any interruptions while listening to music, you can disable notifications on your Pixel Buds. For this, simply open Google Assistant app, open Headphones Settings then disable “Spoken Notifications”. 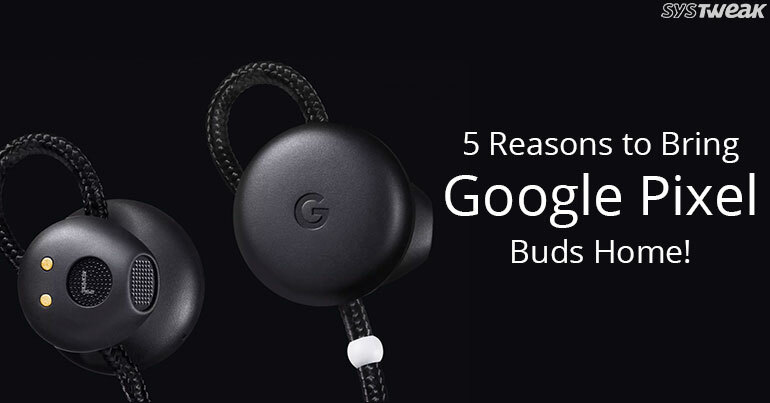 This is one of the most unique feature offered by Pixel buds which makes it way better than other earphones in the segment. Pixel buds makes it quite easy to facilitate a conversation between two people who speak entirely different languages. All you need to do is simply soft tap on the right earbud and say, “Help me Speak [Language Name]”, Google Translate will then launch on your phone, ready to relay the conversation. Whenever you wish to check the current battery status of Pixel buds, grab your Smartphone, open quick settings from the home screen and tap on the small arrow. This will indicate the current battery level of your Google pixel buds. Too good to be true, isn’t it? Yes, of course Pixel buds are much more than your ordinary pair of earphones. So, folks, here were a few tips and tricks tucked into this awesome gadget. Can’t wait to get ‘em home, right? P.S. Isn’t it a cool Christmas gift idea for your special one 😉 Well, thank us later! What Is HDR Or High Dynamic Range And How To Apply It To Your Photos?